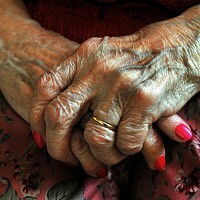 Older people are in the grip of a "loneliness epidemic", according to research. A "loneliness epidemic" is sweeping Britain - with the average person over 65 spending more than 100 days alone each year, a new survey says. This age group spends a total of more than 66 million hours alone every day, according to a report commissioned by the Associated Retirement Community Operators (Arco). The study found almost a quarter of over-65s (24%) were lonely some or most of the time. Modern life means many people's families live overseas, but the latest research may remind grown-up children living abroad to invite their parents for a visit, reminding them to arrange seniors travel insurance first. Nearly one in five (18%) of over-75s sometimes go a full weekend without seeing and speaking to another human being. Opinium Research's survey of 1,030 people aged over 65 found they spend an average of 6.4 waking hours alone each day. Multiplied by the UK's 10.4 million over-65 population, this gives a figure of more than 66 million hours spent alone each day. Arco chairman Jon Gooding said: "We are in the grip of a loneliness epidemic."